Is X800 built in hansfree as X700 ?? Thanks ,Im ready to buy X700 or X800 but I dont know which to choose ! -X700 is the first Symbian model of panasonic so during that time, it is on the trial and error stage. 2. Manufacturing cost is low because minor modification on equipment is done to conpensate on the changes of x800. (this means that equipment of X700 is also used in X800). 3. part are much cheaper since some of the latest tech that time are now already common to all phone when X800 is released. In my opinion, software is almost similar. I do have this phone. I just love the look and everything else is OK. I mean not terrific. I personally won x700, I dunno why panasonic make x800. Can anyone tell me what is the different btw the two? Why the price diff so much? I felt cheated. 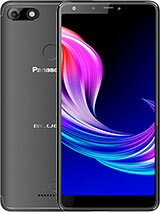 hey, u all know this phone uses miniSD card which is cheaper, read and write faster and support up to 1GB, which is the best thing this phone got. Has anyone actually got this phone yet? ah well, instead of whining and complaining that x800 is x700 in a different design, why not look at x800 as x700 as a nicer design at lower price ? it's painfully obvious that you'll have to download mp3s yourself and upload it into x800 through the usb port... also, the phone itself is 8mb as clearly stated on the page... please read ! this phone is so disappointing. earlier, it was posted at gsmarena that it would have a 1.3 mp camera. not only that, the battery and the memory size are the same as for the x700. so, all we have here is the x700 in another design. good grief! what were the guys at panasonic thinking of?! 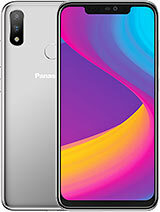 how is the consumer going to want to buy this phone when panasonic is coming out with 1.3 and 2.0 mp camera phones later this year? 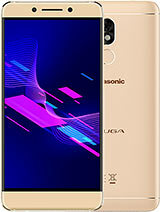 and how is panasonic going to get a foothold in the smartphone segment when its best smartphone spots a vga camera, miserly memory capacity and an inferior battery? wake up, you guys at panasonic! i am sure you can do much better than this. 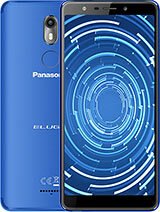 if panasonic says it is planning a better smartphone than this, why bother making this phone then? wad is an OS? ?can ani one tel me? ?n y doesnt panasonic phone support radio wan ar? ?n it doenst support mp3 rite..so hw to use the realplayer we muz download the songs ourself or wad..?? n the phone it self hw mani mb?? This phone has its style.. As for the function.. well, there are alway new Symbian user ard. Let us treat this as a basic phone with style.. I tried it and gosh~~ U really can't deny that it is slim and attractive.. A fashion accessory.. i guess. Guys.. just relax and post ur comment.. Give panasonic a chance.. This is their 2nd Symbian phone.. u know.. Good thing will only come out after trying..
why so mad? if you dont like what people are saying, then get out. and then u will see the difference. there is nothing special about this phone except it has the same old tech. i think they planned for it in 2002 but it is realesed in the 2005 . while all the other symbian phones are comming with the symbian 8 and megapixel camera and 256 screen and the support of 3G and mp3 ringtones. for the love of god. 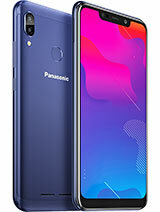 this pohone is so damn stupid to be realesed but panasonic is counting on stupid ppl who dont know anything about the smartphones market !!! x700 = x800 = the same feature over and over again , x800 just changeable covers and without antena. For display every phone has brightness settings. As more brightness take more batt power. Well, 260 k or 16 m, colors would be great, mp3 ringbones also, camera is not a very important thing, I don't care about resolution, I do care about quality, but the point is, the design is something outstanding, it reminds me the design of my Nakamichi sound center, I like every little thing from keyboard to slim design, and it is much better to have a smart phone with this design than to have a phone with 1mpx camera and 260k screen without OS, coz we don't have superb looking smart phones at all, yes nokia had all of X800 specifications year ago in their UGLY MONSTERS. 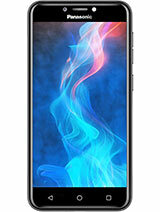 Total of 583 user reviews and opinions for Panasonic X800.